Starting this summer, children will not only have the opportunity to attend a fun summer camp situated in a beautiful environment, but also to learn how they can influence and protect the natural environment that surrounds them. AOTE (Ambassadors of the Environment) makes its debut in Europe after successfully hosting hundreds of children from around the world in camps located in the USA (California and Hawaii), Fiji Islands and Brazil. Presented to Greece by the Athens Environmental Foundation and in collaboration with Jean-Michel Cousteau’s Ocean Futures Society, AOTE Greece aims to bring awareness of environmental matters to children and, at the same time, show them how they can make a difference through action and participation. They then carry these ideas with them throughout their life, thus becoming true Ambassadors of the Environment. The AOTE camp, located on the Saronic Gulf between Sounio and Lavrio, has one or two week-long programs during which children ages 8 to 14 explore, play, discover and learn to appreciate the land and sea of Greece, as well as other natural environments of our planet. Daily environmental instruction, conducted as project-based and experimental lessons, will show them where they fit into the environmental picture and how their actions (or lack of action) have great influence. Some activities include biological gardening, composting, recycling and solar cooking. 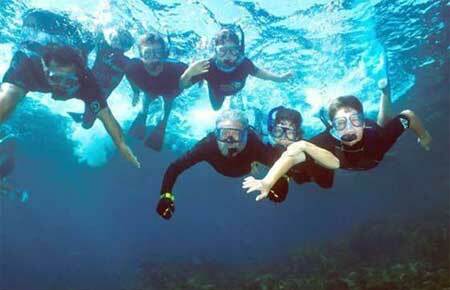 Snorkeling, climbing and other excursions to explore native fauna and flora also play an important part. All lessons are taught by environmental instructors and 24-hours supervision is provided. Lessons are conducted in English and Greek. AOTE Greece is not just a summer camp. It is a chance for our children to learn, while having fun, how they can be actively involved in positively influencing a planet in need of our support. It is a place full of all our hope: hope for the environment, hope for our children.